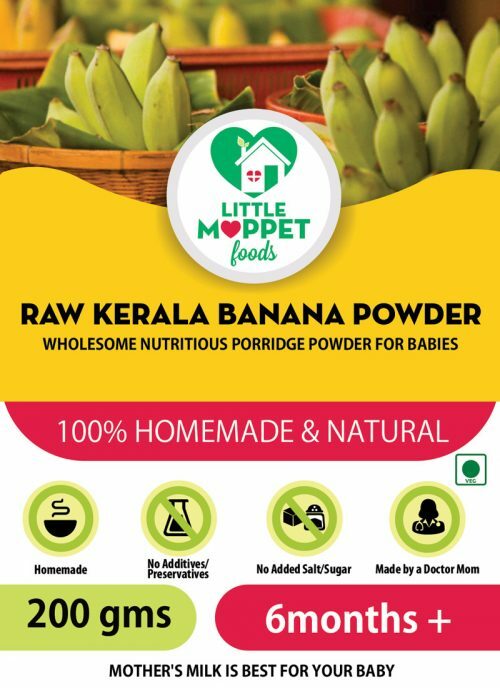 Feed your baby a bowl of strength and good health! 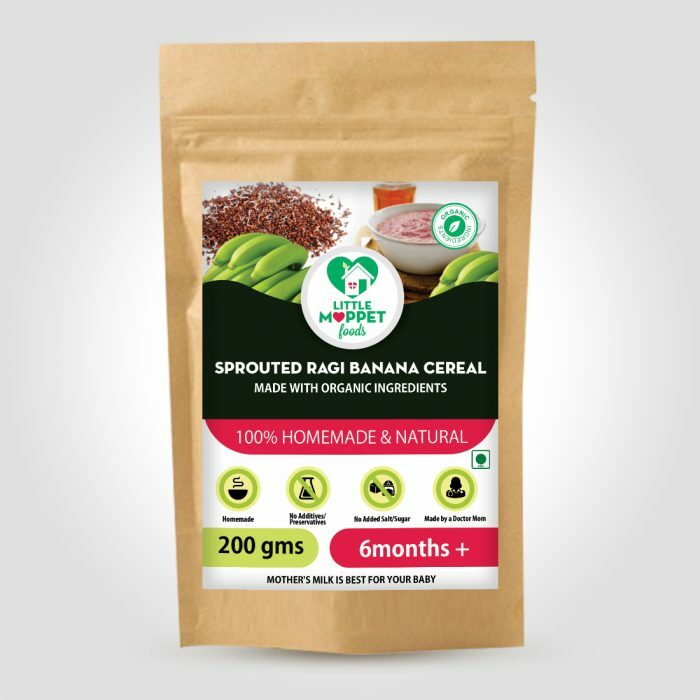 Ragi is a popular baby food all over India, and has been traditionally fed to babies over 6 months. 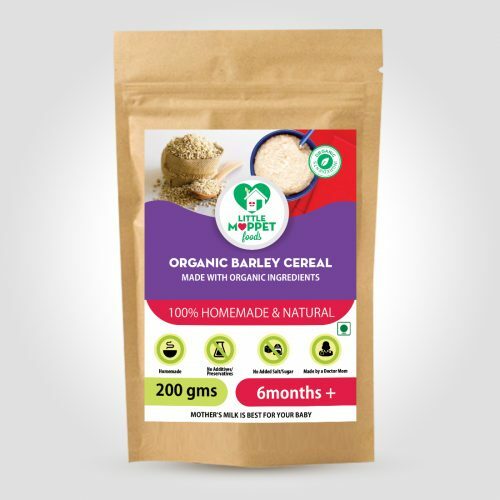 This millet is among the healthiest foods on the planet, being a rich source of calcium, Vitamin C and iron. 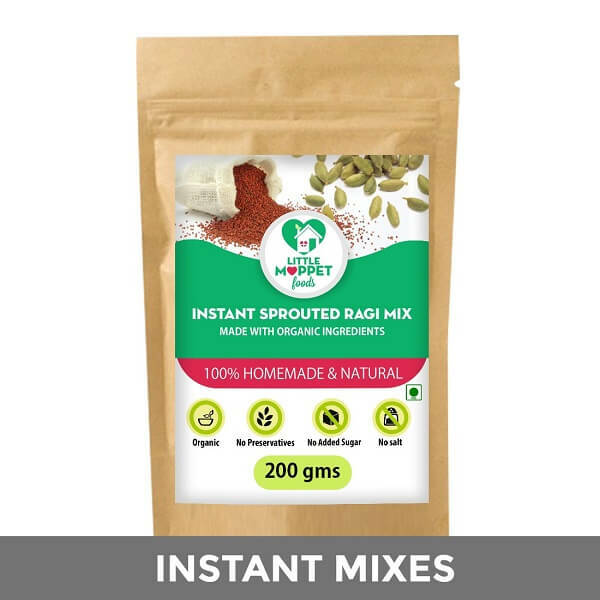 And when you sprout ragi, the benefits are multiplied many times over! 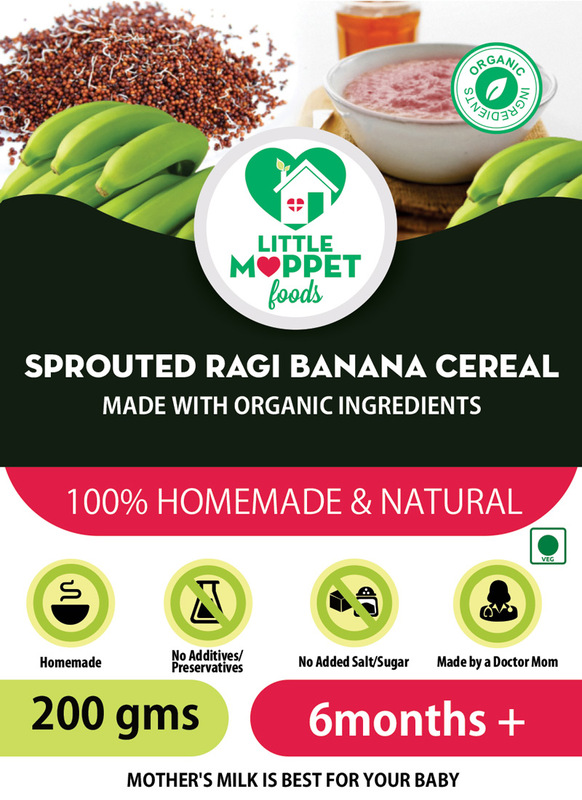 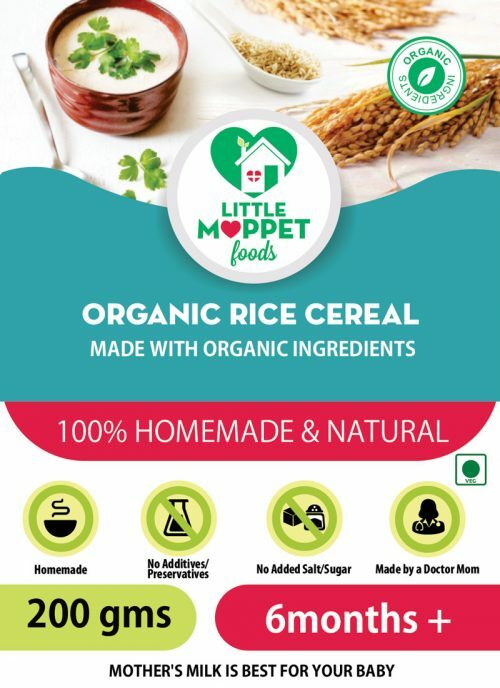 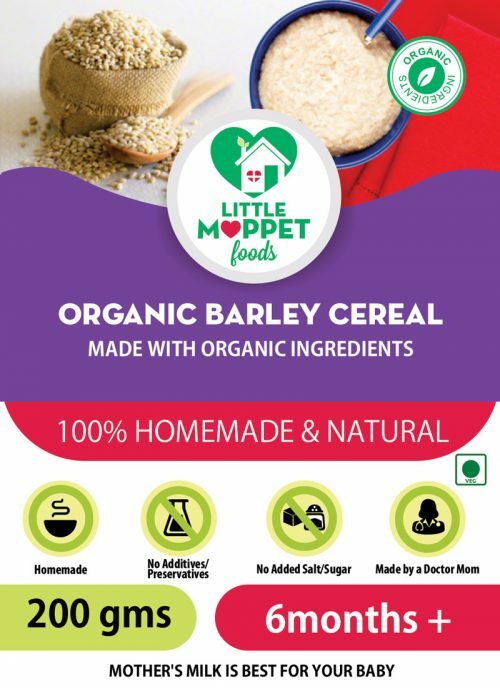 To make a good thing better, we’ve combined sprouted ragi with raw Kerala bananas in our Little Moppet Foods’ Sprouted Ragi Banana Cereal. This way, you get the increased bioavailability of nutrients from ragi along with the high energy of Kerala bananas. 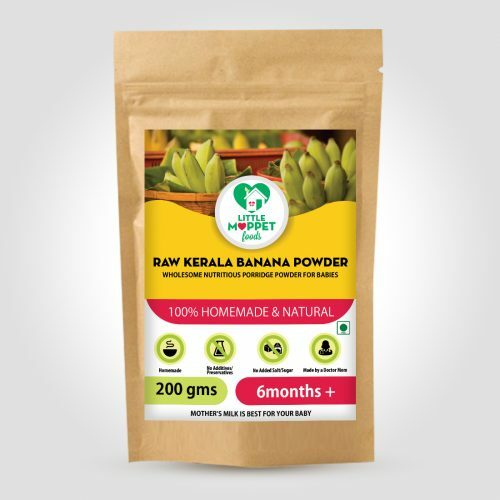 Along with the natural sweetness of the banana, it also contains a hint of elaichi for that extra flavor! 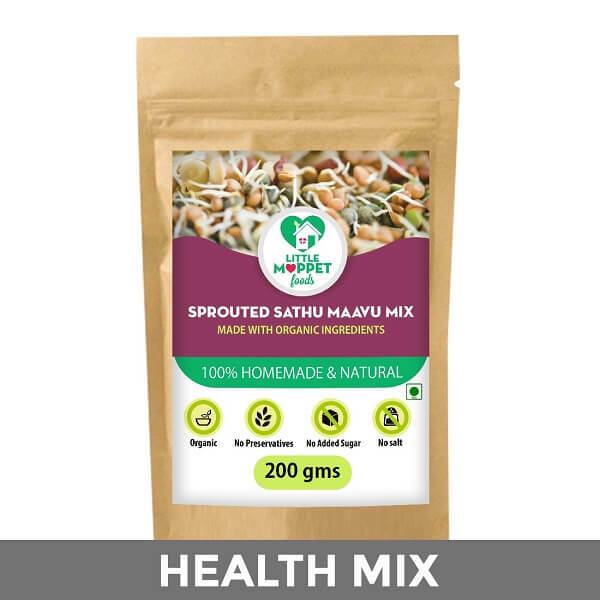 Sprouting Ragi on your own can be very time consuming, which is why we’ve done the hard part for you! 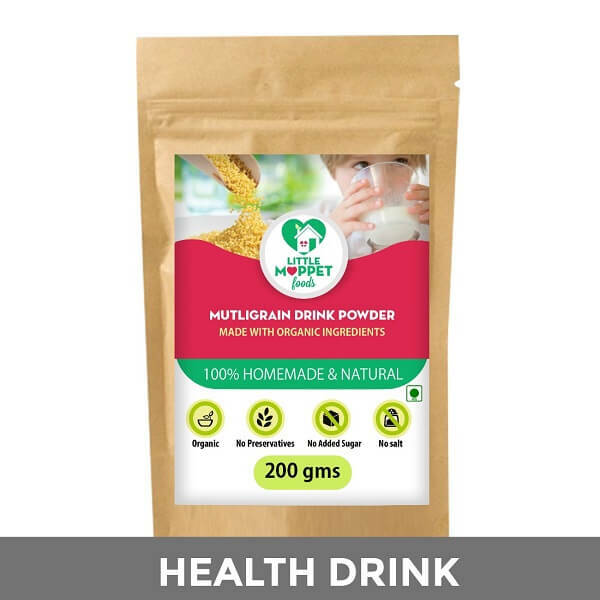 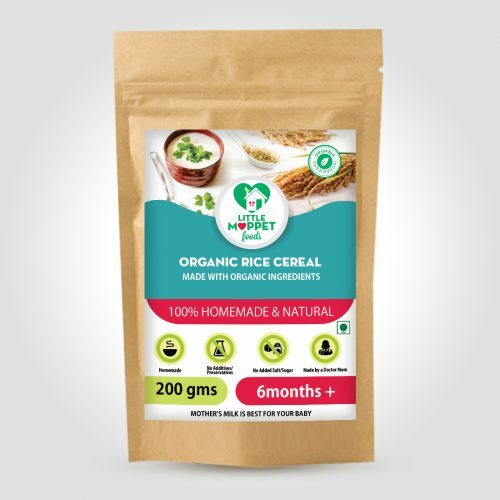 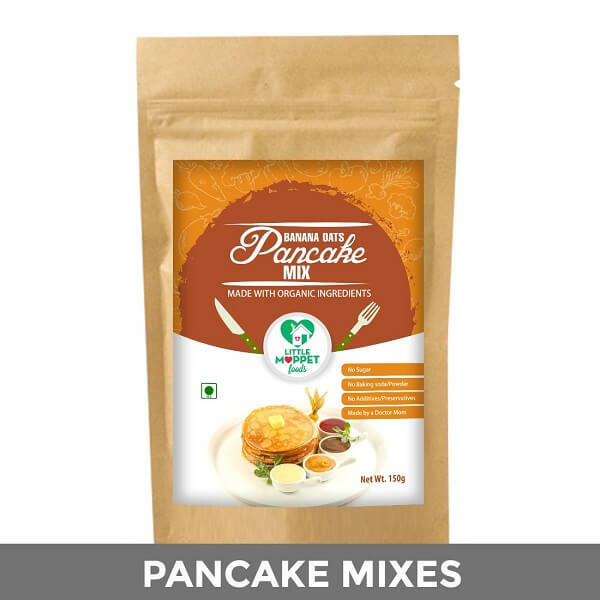 Drying and grinding the Kerala bananas is also an exhaustive process, but with Little Moppet Foods’ Sprouted Ragi Banana Cereal, you get convenience and nutrition – all in one easy to use pack! 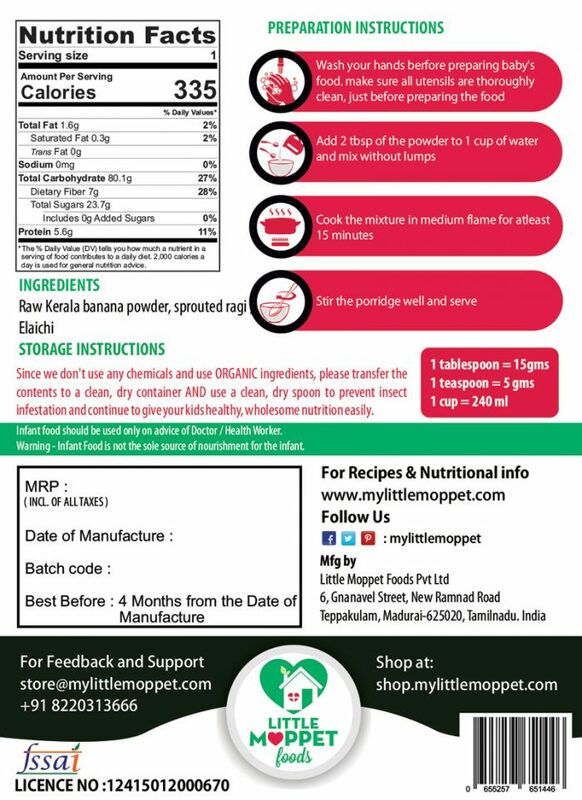 Add 2 tbsp of Sprouted Ragi Banana Cereal powder to 1 cup of water and mix without lumps.